11 months later, I am so glad I did. I could never have imagined the exciting prospects of my journey with Step Forward to be as far-reaching, exciting and life-changing as it has been. When starting off the process, I found myself to be quite apprehensive and nervous when attending the first few events. Retaking a year at college left me in a dilemma with choosing between applying for an apprenticeship in a pathway I was passionate about, or continuing in a course I was good at. The job interview was an interesting experience in itself, where I had to learn several new skills and personal development occurred very quickly as I jumped into the real world. I was asked to present a spontaneous two-minute speech on a topic that I was passionate about, which was both scary and rewarding. An aspect of personal development which I gained was thinking on my feet, selling myself and learning how to plan for an interview. My Apprenticeship so far with my company, Audio Network, has been extremely fun and rewarding. My responsibilities range from cross-department needs analysis to building useful reports and dashboards. This job role also includes training new Salesforce users in the UK, America and Australia. The social aspect of work has by far been my favourite thing, as everybody is treated equally here and everyone is on the same level, especially when it comes to supporting one another and celebrating! I think my future in Salesforce is looking bright. Step Forward has given me the opportunity to achieve qualifications for Salesforce that compliments my role in the workplace. I have been very fortunate to gain a lot of experience in this sector with the support of Step Forward. The scheme has provided me with an in-demand skillset that will accelerate my career opportunities in years to come. Furthermore, some of the opportunities that Salesforce brings to both Audio Network and Step Forward are really helpful when it comes to meeting people, networking and learning about how other people use Salesforce, both through training and through attending events, such as Salesforce Administrator meetups, Cloudfest and World Tour (London). My experience at World Tour was very eye opening, as I was able to broaden my knowledge of an incredibly diverse range of companies, whilst being able to represent Step Forward as an associate in order to help future associates achieve a similar success in their individual journeys via Salesforce apprenticeships. Overall I feel very overwhelmed to be in such a great position at 19 years old, where I have unwavering support from my mentors in Step Forward and a great relationship with everyone in the company I work for. 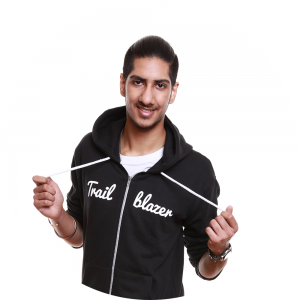 No comments on "My Salesforce apprenticeship: the journey so far"